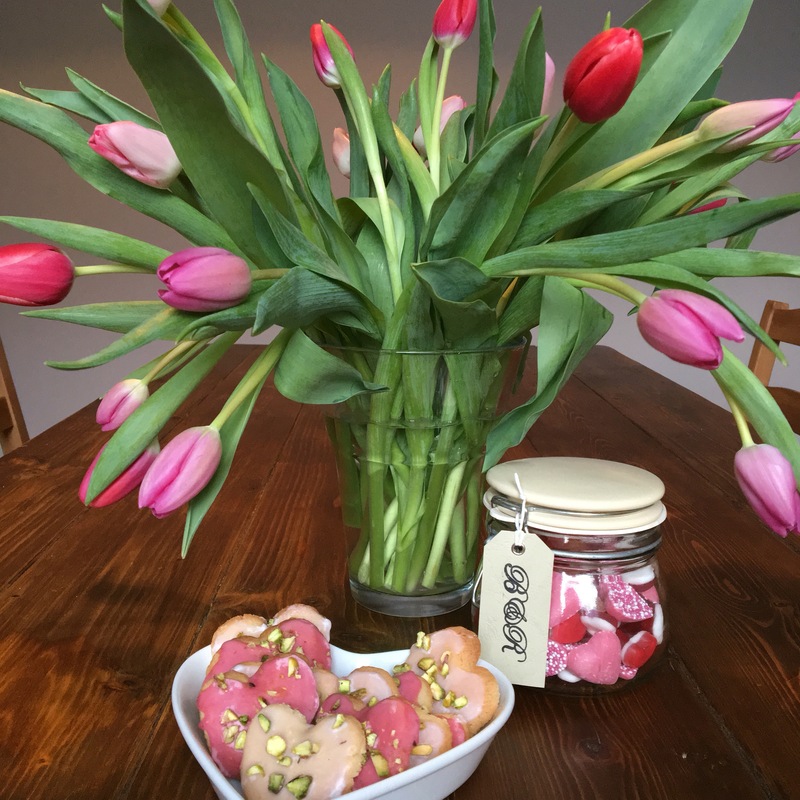 We used heart shaped cutters for Valentine’s Day but these pretty biscuits would also make good Mother’s Day or birthday gifts in any shape you fancy. 4. Sift together the flour, baking powder & salt then stir in to the mixture until combined. 5. Gather the dough together in a ball then roll out on a lightly floured board until it is around 5mm thick. 6. Line a flat baking sheet with some grease proof paper, then cut out your biscuit shapes and place them on the baking sheet, making sure you leave plenty of space between each. You may need to cook them in batches. 7. Bake in the preheated oven for 10 minutes or until light golden brown. 8. Leave to cool on the baking sheet for 10 minutes, before transferring to a wire rack to cool completely. 9. To make the icing, sift the sugar into a bowl then use a spoon to stir in enough of the liquids to make it slightly runny. If you like a darker pink icing use only the beetroot juice. For a lighter pink use mainly water, adding a tiny drop of beetroot juice. 10. Use a palette knife to spread the icing on each biscuit and put it back on to the wire rack to set.